I have over 25 years of experience with massage most of which was on the massage table myself. A series of college football injuries led me to seek massage treatments for my chronic neck and shoulder pain. My experience with pain management through massage treatments was so rewarding, I decided to earn my massage therapy license so I could pass that type of pain relief on to others. When I say, “I feel your pain,” I really mean it! 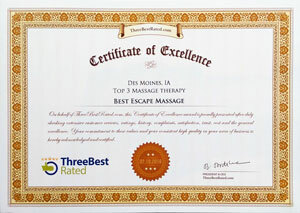 I have been a Licensed Massage Therapist since April of 2007. I have tremendous passion to help others relieve stress and pain. I approach every session with the empathy of a former client and the technique of a trained therapist. I offer a wide range of modalities which includes deep-tissue, therapeutic, general relaxation, prenatal, hot-stone and sports massage therapies. Please let me know if you have any questions or requests to make your massage better for you. I will do my best…to give you the best! Stefanie is a mom to four busy girls and understands how important it is to take the time to care for yourself. She earned her massage therapy license in February 2006 and offers a variety of massage techniques. She excels in neck work and is truly second to none. She has also extensively studied essential oils and loves to incorporate them into her massages. 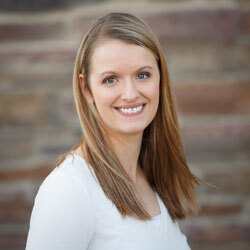 Stefanie is passionate about helping people feel and function at their best! Customer Comments "I have been going to Rod for years. He is awesome at what he does and he truly cares about each of his clients. He listens to my needs every time, not assuming it will be the same massage as last time. If you want a true professional and expert, go see Rod."